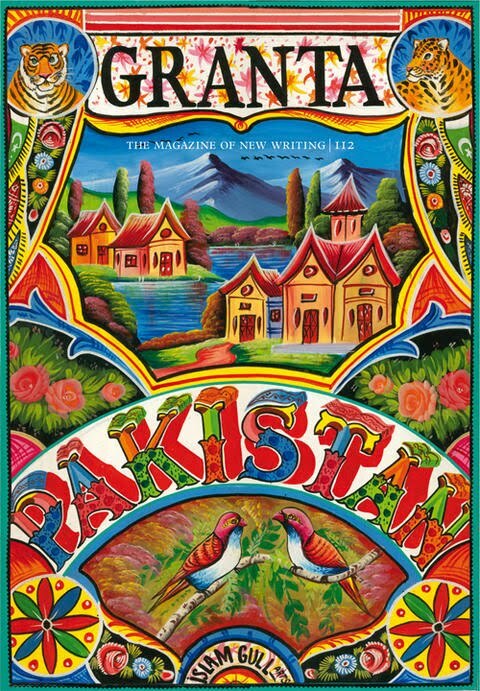 The new issue of literary quarterly Granta is dedicated to writers from Pakistan and about Pakistan. It is an absolutely fascinating collection and may introduce you tome some great writers (including our friend Uzma Aslam Khan, whose book, The Geometry of God, I mentioned a while ago on this blog). I will be introducing some of these stories here in the coming weeks. Like myself, most (may be all of them) of these writers grew up in the 80s, when Pakistan was going through General Zia's dictatorship and was the key US ally in the fight against the Soviets in Afghanistan. To understand Pakistan today, one has to understand cultural and social changes that took place under Zia. And the picture is not pretty. A short story: Here is a phenomenal (but chilling) short story by Mohsin Hamid. It is called A Beheading. This is very short and very well-written. If you have time, you should definitely check it out. It is not a light-read, however. So be warned. (also check out Mohsin Hamid's excellent novel, The Reluctant Fundamentalist). It is called Pop Idols. Watching the video of ‘Dil Dil Pakistan’ (‘Heart,Heart, Pakistan’ or ‘My Heart Beats for Pakistan’) today, I’m struck by the void that must have existed to make pretty boys singing patriotic pop appear subversive. In a bid to circumvent growing restrictions, TV producer Shoaib Mansoor had the idea of getting a pop song past the censors by wrapping it up in nationalism. Vital Signs and ‘Dil Dil Pakistan’ was the result. The video, with its guitar-strumming, denim-clad twenty-something males, premiered on Independence Day – 14 August – 1987 and millions of Pakistanis, including my fourteen-year-old self, fell over in rapture. Largely, our lives say that polarity and discordance are rife. However, although they are few and sometimes difficult to identify, there are still spaces in Pakistan where difference presents opportunities to harmonize. Read the full article here - and also check out her novel Kartography. If these tales are excruciating, the contributors’ critique of American foreign policy may make some readers uncomfortable in an entirely different way. Many of the writers describe the harm done to Pakistan in the 1980s, when the American-backed dictator Gen. Mohammad Zia ul-Haq financed the Afghan mujahedeen fighting the Soviets in Afghanistan. The secular ideals of Pakistan’s founder, Muhammad Ali Jinnah (evoked in “Portrait of Jinnah,” an essay by the New York Times correspondent Jane Perlez), vanished in Zia’s increasingly Islamicized country. Even the sympathetic characters here are full of rage at America. “A country demoralized and humiliated by its myriad problems could either turn reflective, or it could simply blame everyone else,” the novelist Kamila Shamsie writes in “Pop Idols,” her essay about growing up in Karachi immersed in John Hughes movies and Madonna records. Many characters in these stories have chosen blame. While Arundhati Roy and others have fiercely criticized American foreign policy, those tensions tend not to be at the center of Indian fiction. But perhaps the starkest difference between this collection and the Indian diaspora literature of recent decades is the depiction of immigrant life. Pakistani immigrants, especially in the years since the Sept. 11 attacks, face challenges completely different from those of their Hindu counterparts from India. (Of course India has a huge Muslim population, but the country is seen as a victim rather than a perpetrator of terrorism.) “Restless,” Aamer Hussein’s account of his formative years in London, and Sarfraz Manzoor’s “White Girls,” a rumination on interracial romance, are funny and poignant. 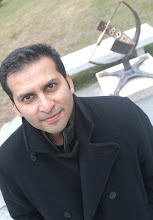 But the most famous Pakistani immigrant in America, and the one whose story is told at length here in a piece of reportage by the American novelist and Pulitzer Prize-winning journalist Lorraine Adams and the Pakistani journalist Ayesha Nasir, is Faisal Shahzad, the would-be Times Square bomber. The essay somewhat glibly presents his radicalism as a result of American foreign policy, but it does highlight some of the harsher realities confronting Pakistani-Americans. Shahzad’s inability to fit in — a theme treated with delicate melancholy in the immigrant tales of writers like Jhumpa Lahiri — is less melancholy than terrifying. For all the violence and brutality in this collection, the reader does get glimpses of a less visible Pakistan. (In a humorous touch, the photographer-protagonist of Uzma Aslam Khan’s story “Ice, Mating” is rebuked for not taking war photographs, and is told that his more artistic snapshots lack “authenticity.”) The great value of Granta’s compilation is that it shows us this side of the country while never ignoring the crueler, more vicious aspects of Pakistani society. If cross-cultural interaction can play a part in minimizing animosities and encouraging amity, this collection is a good place to start. 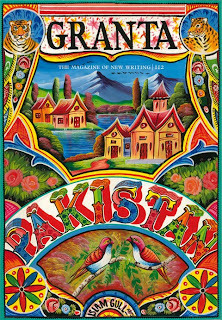 Read the full review here and check out the Pakistan issue of Granta here. And also see this fantastic performance of Lal Meri Pat by Junoon at Central Park. Thank you for writing about the new issue of Granta! I enjoyed reading the articles. I'm glad you mentioned Kamila Shamsie. I think we talked about her books when you came last year. I've read all her books and I like her style of writing. Found it a bit similar to Uzma Khan's. Hmm. Also, The piece "How to write about Pakistan" is hilarious. I'm glad you liked the collection. I may post a few more stories/articles later.